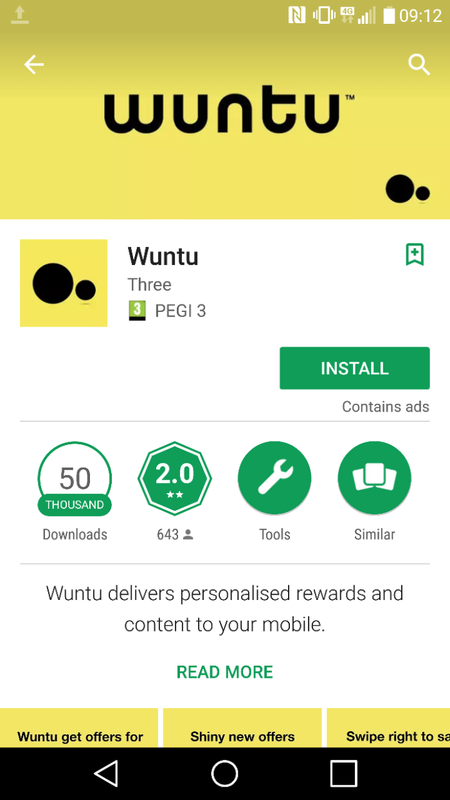 Three has today launched Wuntu a new rewards app for Three customers that will deliver a personalised range of offers, discounts and exclusive competitions. You’ll receive your selection of rewards each week and it’ll get to learn more about you based on his you’ve used to app in the past, delivering exclusive offers tailored to your interests. A new set of rewards will be served up each Thursday, and offers come from retailers such as Deliveroo and Amazon. You can also win competitions, and they currently have 10 five-night trips to New York City with lastminute.com up for grabs. The rewards are available to all Pay As You Go, Contract and Mobile Broadband Three customers. Just search for “Wuntu” in your app store to get it. Danny Dixon, Director of Digital Offers & Rewards at Three tells us..
Three’s aim is to simplify the complex landscape of loyalty programmes. Wuntu is unlike any other rewards programme out there. Over time, Wuntu will become innovative and intuitive, ultimately making the customer feel like a king. We’re working with some fantastic partners for launch and the list is set to grow as the app gains popularity. The best part is that the app is very simple to use, so our customers will have a great user experience from the moment they download Wuntu through to how they claim their offers. Head to the Wuntu page for more details or read on. 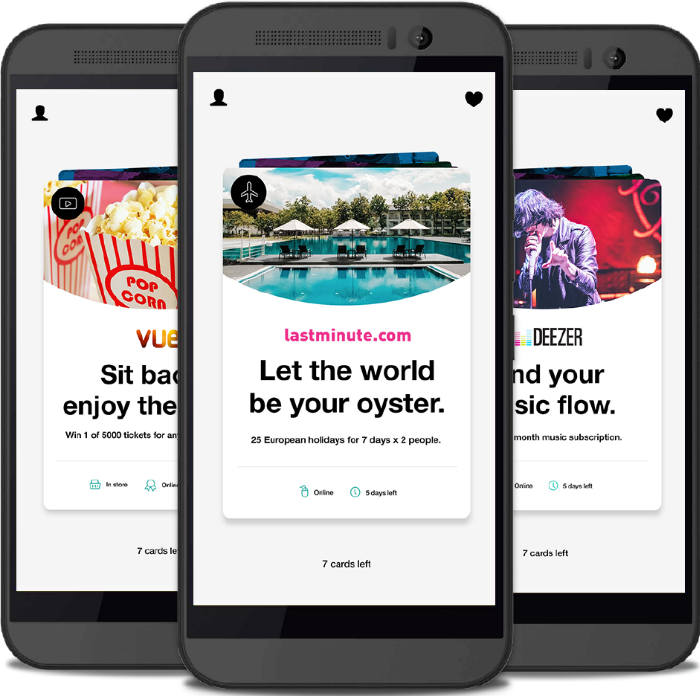 Three, the network that prides itself on championing the customer, has today launched Wuntu – a pioneering new app that delivers a range of exclusive rewards, money-saving offers and one-off experiences, direct to the mobiles of its customers. Today marks the start of a journey for Three in changing the game in loyalty programmes. Wuntu will begin with a simple, unique, fast-paced offering of seven offers each week. It will gradually improve and over time it will grow to learn more about its users, with the assortment of offers, rewards and content becoming more timely, targeted and tailored to people’s interests. 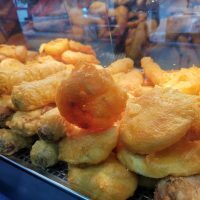 So the more people use it, the better it will get – understanding what customers like, inspiring them and even suggesting new things they might like to try. The types of rewards and offers available on Wuntu will cater for all tastes and quirks, and will be spread across a number of different categories, including Travel, Taste, Entertainment and Technology. So whether you’re a foodie who loves dining-out, a jetsetter with constant wanderlust, or a gadget-obsessed techie, there’s a reward out there for you. Three has partnered with a number of exciting brands to offer these top notch rewards, including the likes of Deliveroo and Amazon. Better still, one of the offers currently available is the chance to win one of 10 five-night trips to New York City with lastminute.com. The line-up of offers will refresh every Thursday, with seven new deals made available to each user every week. The nature of these will range from the small to the show-stopping – so from money off your morning coffee, right up to a chance of winning a free holiday, you can rest assured there will always be something that takes your fancy. Wuntu is available to all Pay As You Go, Contract and Mobile Broadband Three customers. The app can be downloaded now from Google Play, iTunes and via Three’s app My3.